You can prepare them so many different ways, but lemon – garlic is one of the simplest. Serve it with roasted asparagus, over pasta, or over your favorite salad. 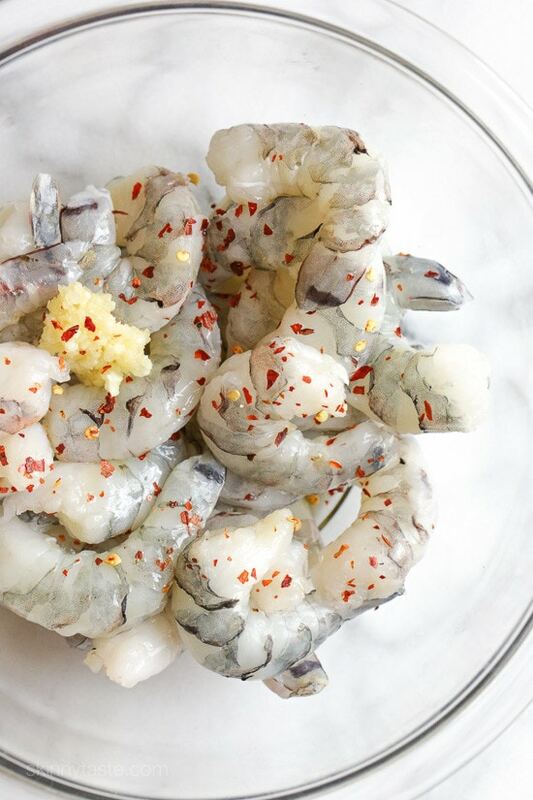 One of the quickest and easiest ways to prepare shrimp is to roast them in the oven and simply drizzle with some olive oil, garlic and fresh lemon juice. (Great for shrimp cocktail too!) You can prepare them so many different ways, but lemon – garlic is one of the simplest. Serve it with roasted asparagus, over pasta, or over your favorite salad. This was good but I needed to add salt to taste the flavors. I can’t cook and I don’t cook but this looked fairly foolproof. Thankfully it really was! It really is as easy as it sounds but it’s more delicious than you’d think given how simple it is! 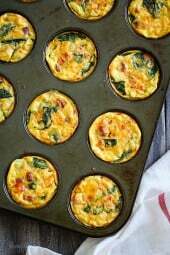 Pingback: Best Weight Watchers Recipes of Year with SmartPoints! Hi. I made the mistake of using “large” shrimp instead of “jumbo”. I cooked them for 6 minutes but didn’t take into consideration that the shrimp I used was smaller and cooked faster. In spite of my error the result was delicious even if just a bit overcooked. Totally my fault….and I thank you for your wonderful recipes. I’m a weight watcher member and this is perfect for the new Freestyle program. Can I do this with shrimp and scallops? Will it alter the cooking time? Thinking about it for Christmas Eve tomorrow. Thanks! Do you have to turn the shrimp over during the cooking? Hi, can I use this for meal planning? Or will the shrimp go bad? Is that 1.5 pounds before or after you peel the shrimp? Thanks! Hi, for the nutrition is it per serving or for all 4 servings? Made this for dinner tonight and my husband and I loved it. Tasted just like shrimp scampi without the guilt! I put it over brown rice and made roasted asparagus using the same olive oil, garlic, red pepper flake, and lemon combination as the shrimp. SO GOOD! 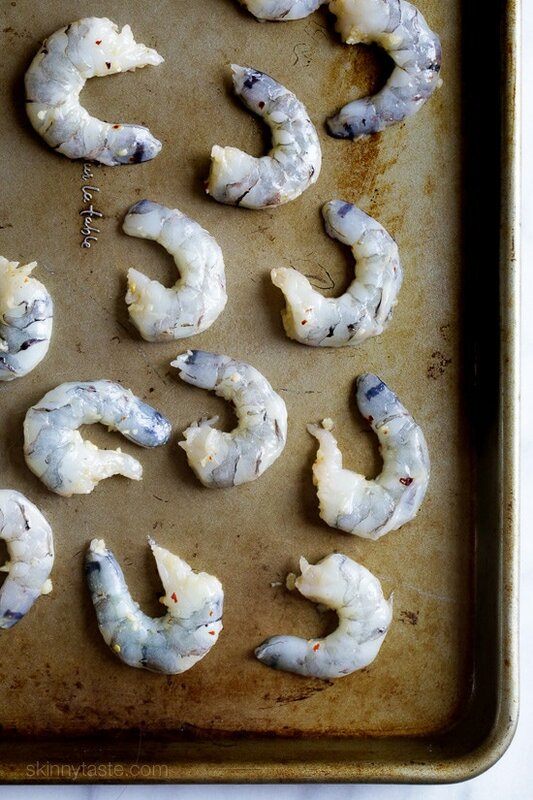 What temp should the oven be on to roast the shrimp? Your recipes continue to amaze me. Had some shrimp that I needed to cook quickly, found this recipe and made this dish. I have made many of your dishes and was confident it would be good. Did not expect this fish to be as good as it is!!! Absolutely amazing!!! Thank you for your awesome recipes!!! Could I grill these instead? You can, it may alter the taste and texture slightly from the original recipe but it will wotrk! Made this tonight .. amazing! Takes 10 min from start to finish and taste so good … I had to make a second batch for lunches tomorrow! Thanks for another winner. This may be a stupid question, but can I use cooked shrimp? That's all I have on hand. Cooked shrimp are already COOKED. RAW shrimp should only be cooked for a very short time until just opaque. If you try to cook shrimp AGAIN that have already been cooked, they will be very dried out and tough. 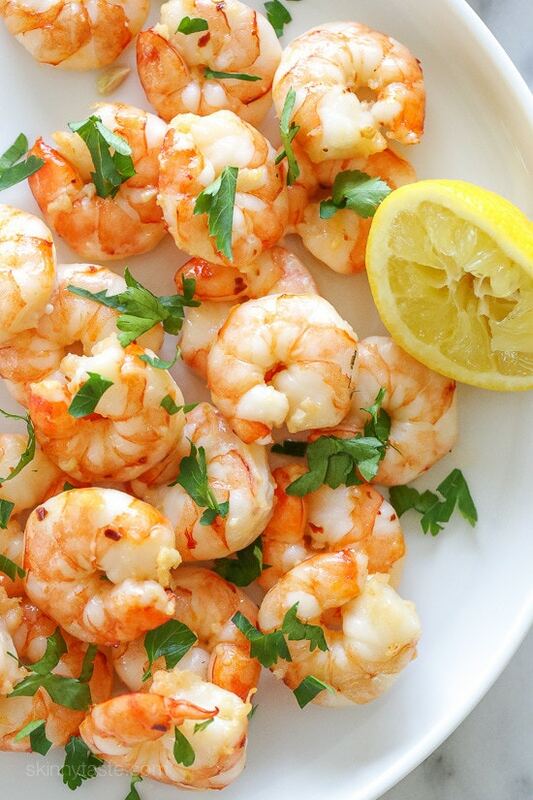 If you want the flavor of this recipe though, just toss your already cooked shrimp (that you hopefully have defrosted first and dried off) in a dressing of lemon juice, minced garlic, some olive oil , and red pepper flakes and let it sit for a little while, then use on top of a salad, but PLEASE, don’t cook them over again! I made this for dinner tonight with the broccoli with orzo. Simple and delicious! I highly recommend it! 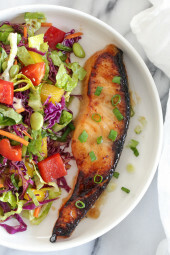 Making this today to top fresh salad! So excited you are incorporating 21 day fix to your posts! Thank you! This looks very tasty and healthy, can't wait to try this one! Oh, wow! Just noticed the 21 Day Fix info. Love it! Thank you! Thank you for the recipe! Other times I have roasted shrimp and had the pan get watery. Any ideas of what I am doing wrong? Recipe sounds delicious. I always put my shrimp on a paper towel after defrosting them [or even if they are fresh] then I put another paper towel on top of them and gently press down to remove any excess moisture. always works for me. hope this helps!! Went to pinterest to find my dinner recipe with shrimp…. couldn't find anything "point worthy" so I thought of you. Voila! There it is! 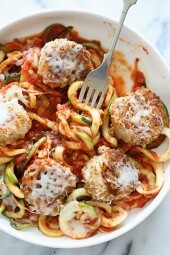 Making this tonight and will serve over pasta! Can't wait for dinner! Well…NOW I have a dilemma….came here to print your Jamaican Shrimp Stew recipe for dinner. I may switch to this for tonight. YUM!!!! I normally pan fry shrimp/prawns but this seems like the way I should be doing it – this seems a little healthier and it seems like the flavours will infuse better. Unrelated to this recipe, could you please do a skinny version of thai Mango Sticky Rice dessert? It's my absolute favorite but the restaurant versions have like 15+ WW points. A skinnier version would just be so amazing! Thank you! I usually pan fry my shrimp in a nonstick pan, but I think I should probably be using a method more like this (I've seen on several cooking shows that this is the way to do it). 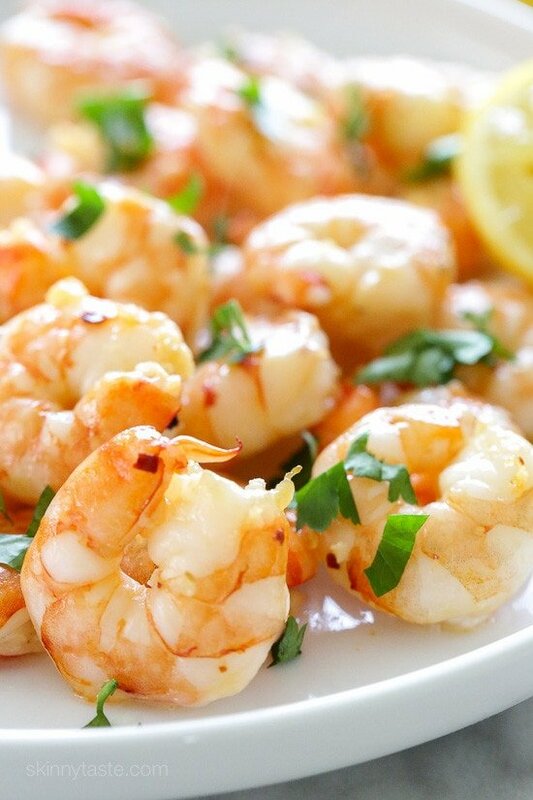 I'll definitely have to give this a try–shrimp are one of my favorite proteins to toss on a salad or pasta. By the way, I'm hosting a weekly favorites blogger link up on my blog today. I'd love for you to come share your favorite post of the week! I wonder if using a pizza stone would change the taste. You wouldn’t want to have your pizza stone taste like shrimp, would you? A metal pan isn’t porous so it won’t keep the flavor of the shrimp.